If you are prone to migraines, prevention can go a long way in improving your quality of life. If your migraines are severe, last for several days, or if your migraine medication is not effective or produces intolerable side effects, prevention may be an important strategy for you. In addition to lifestyle modifications, migraine prevention can include complementary and alternative (CAM) treatments and medical or surgical approaches. Keep in mind that using excessive migraine medications can induce a rebound effect, and your migraines may return after the medication wears off. Prevention can help deter rebound migraines, too. Over time, most people experience a fluctuation in the frequency and severity of migraines. You may need to use daily migraine prevention for years, or you may be able to discontinue it after a while when your migraines improve. When you are prone to migraine headaches, there are several lifestyle issues that can trigger them. Paying attention to lifestyle triggers is particularly effective when it comes to prevention. Sleep deprivation is among the most common causes of migraine headaches. If you know that you get migraines whenever you are sleep deprived, try to plan for enough sleep when you know that you will have a long day or when you anticipate jet lag. Some people have migraines after eating chocolate, soy products, nitrate-containing foods, monosodium glutamate (MSG), or food coloring. If you experience migraines after consuming any of these products, be sure to avoid them. Be cautious when you aren’t sure if any food contains these ingredients. Strong scents like cleaning products, cosmetics, and art materials can trigger a migraine. Be sure to avoid smells that trigger your migraines. Stress is usually unpredictable, and it's not possible to completely avoid stress. But if stress causes you to have migraines, you may be able to stave off a migraine by avoiding your other triggers, such as lack of sleep, when you are under stress. Many people experience a severe migraine after a time of stress has resolved. If this has been your experience, be prepared for when you anticipate the resolution of stress—such as after exams, big work projects, or unpleasant social encounters. Consider using complementary and alternative methods (CAM) before and during these post-stress times. If you feel a migraine coming on, or if you know that you have been exposed to one of your migraine triggers, using an ice pack on your neck, shoulders, or forehead can reduce your chances of developing a full-blown migraine. Caffeine intake plays a big role in migraines. Caffeine can help control and prevent migraines, and caffeine withdrawal can trigger a migraine. In general, it is best to keep your caffeine intake predictable and regular. For some people, caffeine actually triggers migraines. If you have that reaction, be aware that chocolate, cocoa, and tea all contain caffeine. Bright lights can trigger a migraine. Consider wearing sunglasses or dimming the lights when possible if you sense that the lights around you are too bright. If loud noises or certain sounds trigger your migraines, try to keep your environment quiet. Holding a phone to your ear for a long time or wearing headphones can trigger a migraine. Consider using a speaker when you have prolonged phone calls to avoid holding the phone close to your ear. When it comes to prevention, the same strategies don’t work for everyone. Be observant and attentive to your migraines so that you can select the strategies that work for you. Factors such as loud noises or strong smells don’t affect everyone the same way—be sure to avoid your own triggers and don’t fret about the stereotypical migraine triggers that don’t personally affect you. If you have more than three to five migraines per month (or more than five days of migraine headaches per month), your doctor may recommend that you take daily prescription medications for migraine prophylaxis (prevention). Most of these medications are not formally indicated for migraine prophylaxis, but they are frequently used off-label for this purpose. Aimovig (erenumab), Emgality (galcanezumab), and Ajovy (fremanezumab) are three medications approved by the United States Food and Drug Administration (FDA) for migraine prophylaxis. Aimovig and Emgality are used as a monthly injection, and Ajovy comes in a 225 milligram (mg) monthly injection or a 675 mg quarterly (every three months) injection. These medications are antibodies that block the calcitonin gene-related peptide (CGRP) receptor, which is a pain receptor. CGRP may also cause vasodilation (widening of the arteries), which is believed to contribute to migraine symptoms. Therefore, blocking the action of CGRP may allow blood vessels to maintain normal width. Antidepressants are indicated for the treatment of depression. However, they are often used for migraine prevention as well—typically at a lower dose than the usual dose that is recommended for treatment of depression. These medications, including selective serotonin reuptake inhibitors (SSRIs) and tricyclic antidepressants, interact with neurotransmitters that mediate pain. It can take up to four to six weeks of daily antidepressant use before you notice a decrease in the frequency and severity of your migraine headaches. Keep in mind that antidepressants do not stop or reduce the pain of a migraine headache when you already have one. Several medications that are normally indicated for seizure control, including gabapentin, phenytoin, valproic acid, carbamazepine, and topiramate, can reduce migraine frequency and severity when used on a daily basis. Like antidepressants, these medications begin reducing the frequency and severity of migraines after about four to six weeks of daily use. Daily use of the low-dose antihypertensives propranolol or metoprolol (categorized as beta-blockers), or calcium channel blockers verapamil or nimodipine can be effective in reducing the frequency of migraine headaches for some people, as they can promote normal blood pressure of the blood vessels in the brain. Since these medications lower blood pressure throughout the body, they are not recommended if you have low or borderline low blood pressure. While it is not common, prescription strength anti-inflammatory medications are sometimes used for migraine prevention, particularly when inflammation is believed to be part of the cause. Steroids can reduce migraine severity and frequency. In general, when steroids are used for migraine prevention, a prescription for oral steroids is used for six to twelve months —followed by a gradual reduction in dose. Many women experience a decrease in the frequency and severity of migraine headaches when using oral contraceptives. This is more common for women who experience menstrual migraines, but sometimes women who have a migraine pattern that does not follow the menstrual cycle experience improvement when using oral contraceptives. It’s important to note that some formulations of oral contraceptives can cause migraines for some women. There are several procedures that are used to prevent migraine headaches. These are generally indicated if you have refractory migraines that don’t improve with the treatments that are usually used to stop a migraine, or if your migraines don’t improve with preventative treatment. If you experience intolerable side effects from medications, then you may experience better results from a procedure. Cephaly: This is a small device that creates superficial nerve stimulation. It is placed on the forehead and turned on daily for 20 minutes to prevent migraines. Botulinum toxin: Botulinum toxin injections are used as a preventative strategy for migraine headaches. The effect can also for several months, and often needs to be repeated after a few months. Over time, most people can experience longer periods of improvement which requires less frequent injections. Pain injection: Injections of pain medications in the scalp, neck, or shoulders have been shown to prevent migraine headaches for some people, and the effect can last for months. Steroid injection: Steroids reduce inflammation, and local steroid injections in the neck or shoulders can help prevent headaches for some people. Muscle relaxer: In some instances, muscle contraction (tightness) can be associated with migraines. An injection of muscle relaxants may help reduce the frequency and severity of migraines. 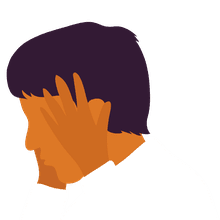 Nerve or muscle surgery: There are surgical procedures in which a nerve or muscle can be decompressed (released from pressure) to prevent migraine pain. This type of procedure, however, may result in decreased function—this can potentially manifest as loss of sensation or muscle weakness. Several alternative therapies have been shown to help with migraine prevention. Vitamin B12: Vitamin B12, at a daily dose of 2.6 to 2.8 micrograms (mcg) may help prevent migraine headaches. Keep in mind that vitamin B12 deficiency may be due to trouble with absorption from the stomach, and you may need an injection rather than oral (by mouth) pills. Magnesium: Magnesium, used orally, at a dose of 400 to 500 mg per day has been shown to reduce the frequency and severity of migraines. Acupuncture: Acupuncture has been shown to be safe and effective in migraine prevention, with an effect that is equal to daily prophylactic meditation. Biofeedback: This is a technique in which people are trained to alter physical responses that are not usually under voluntary control, such as blood pressure and heart rate. Biofeedback training has been found to be a valuable method of migraine prevention. Meditation, Yoga, Tai chi: All of these exercises, which are based on physical and cognitive control and awareness, have been found to be effective in reducing the frequency and severity of migraine headaches. Migraines are experienced differently by everyone. However, one thing is for sure: it can be difficult to live your life normally when you have extremely painful and disruptive symptoms. The first step in prevention of migraines is knowing your symptoms and the options that are available to you. It will probably be a trial-and-error process to discover what treatments (or treatment combinations) work best for you. It's best to work closely with your doctor to find the best migraine relief for you. Naji-Esfahani H, Zamani M, Marandi SM, Shaygannejad V, Javanmard SH. Preventive Effects of a Three-month Yoga Intervention on Endothelial Function in Patients with Migraine. Int J Prev Med. 2014 Apr;5(4):4249.